The Finest in Cancer Care & Treatment from the Midlands to the Coast. After being diagnosed with cancer, a person experiences a myriad of emotions and decisions – how and where to fight your cancer. No matter where cancer occurs – breast, brain, lung, prostate, blood system – McLeod Health provides understanding and highly-skilled specialists, infusion services, proven treatments, and the best technology in the region. 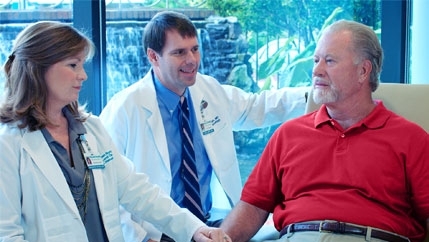 The McLeod Center for Cancer Treatment & Research located on the campus of McLeod Regional Medical Center in Florence, SC has been the choice for medical excellence for hundreds, if not thousands, of people each year. 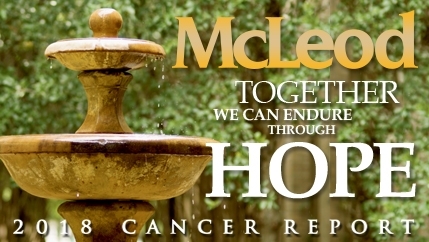 The McLeod Center for Cancer Treatment and Research is the home of hope and help for cancer patients from the Midlands to the Coast. Our physicians, surgeons, navigators and staff will be with you for your entire journey as we diagnose and select the cancer treatment therapies that will offer the best prospect for hope, recovery and rehabilitation. The McLeod Center for Cancer Treatment and Research consolidates diagnosis, treatment, recovery and rehabilitation resources in one place. 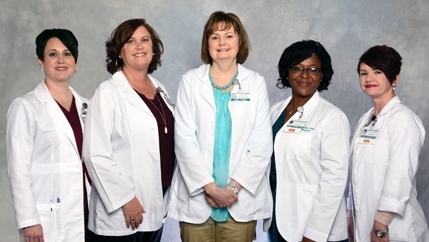 Patients will find Infusion Services (such as chemotherapy), Radiation Oncology and their cancer specialists all in one place at McLeod Regional Medical Center in Florence. Patients receiving chemotherapy can find tranquility by gazing out on the healing garden enclosed by a gentle water wall. The concourse with its pharmacy, spa, gift shop, Starbucks and restaurants is easily accessible by patients and families. Cancer is not one disease but many that are found in different parts of the body. McLeod Center for Cancer Treatment and Research concentrates on treating these cancers through a multitude of therapies, including chemotherapy and radiation therapy that delivers relief faster and in fewer treatments or reduces the need for drastic surgery. Cancer research plays an important role at McLeod, offering access to new therapies and treatments not available at many other hospitals. Ways to shrink and kill cancer constantly change. 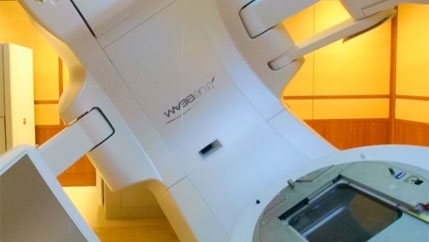 McLeod wants to be sure our patients benefit from these developments, adding radiation units that preserve healthy tissue, as well as shorten treatments and decrease the number of treatments. They come by many names – SRS, SBRT and IMRT – but they all represent improved chances of recovery. Learn more about Radiation Oncology. Infusion Services is an outpatient department of McLeod Regional Medical Center with locations in the McLeod Center for Cancer Treatment and Research in Florence and McLeod Health Seacoast in Little River. This department provides infusion treatments with a specialty in Oncology and Hematology. The team works closely with the oncologists of McLeod Oncology and Hematology Associates and McLeod Oncology and Hematology Associates at Seacoast, Pharmacy, and other support areas to provide safe and holistic care to the patients as well as their families. Any questions concerning the patient’s diagnosis, treatment, and side effects can be and are provided by this team. The Infusion Services department also offers ample room for a family member or friend to remain with the patient and provide support while they receive treatment. After your diagnosis, a Cancer Navigator is available as needed to provide you with education about your cancer diagnosis and treatment plan as well as to answer any questions you or your family may have. Cancer Navigators can help connect patients to additional resources that may be needed to ensure access to care. 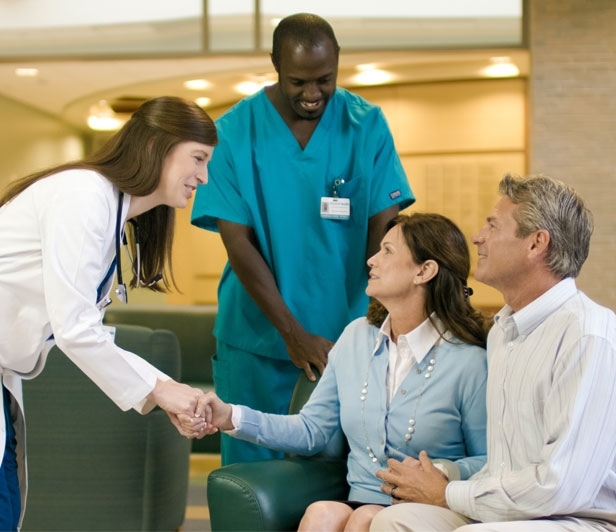 As you move into the “new normal” after the completion of active treatment, Cancer Navigators are also available to assist you with the transition of managing cancer survivorship. If you would like to speak to a Cancer Navigator, but do not see your cancer diagnosis listed, please call Lauren Snipes at (843) 777-0899 and she will connect you with an appropriate cancer representative. 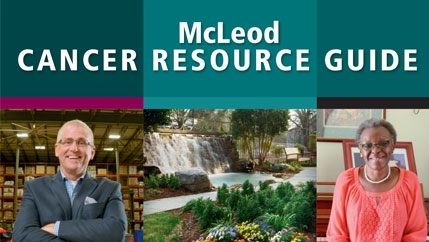 The McLeod Cancer Resource Guide contains information about the medical staff, treatment options, technology, and programs and services that encompasses the McLeod Center for Cancer Treatment and Research. We hope you find this guide helpful and encouraging whether you are a patient, caregiver or physician. Download the Guide. Annually, McLeod produces a Cancer Report to share its outcomes with the community. This year’s report features an overview on lung cancer cases diagnosed and treated at McLeod by Dr. Wayne Holley, information on the McLeod Lung Cancer Screening Program, the role of the Radiologist in the detection of cancer in addition to patient testimonials on Non-Hodgkin Lymphoma and Pancreatic Cancer as well as articles on 3D Mammography and Breast Cancer Research, the HOPE (Helping Oncology Patients Everyday) Fund and An Evening of Hope. To view the report, click here. 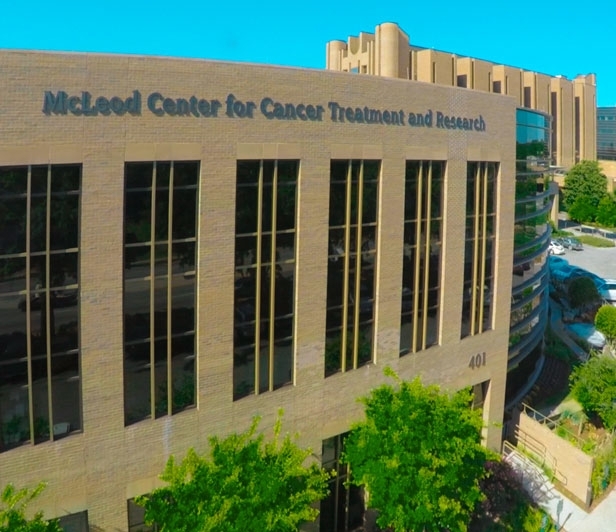 McLeod Center for Cancer Treatment and Research stands as the region’s only “Comprehensive Community Cancer Program” as accredited by the American College of Surgeons’ Commission on Cancer. Only 1 out of 4 cancer programs in the country are accredited. 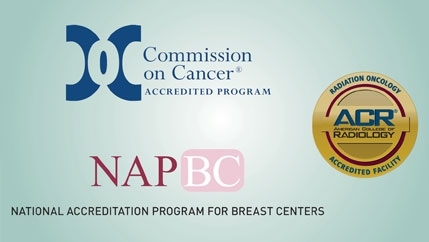 McLeod Breast Health Center carries the prestigious “National Accreditation Program for Breast Cancers” and the McLeod Radiation Oncology Department is only one of 12 American College of Radiology Accredited programs in the state. The side effects of cancer treatment often cause fatigue, chemotherapy-induced peripheral neuropathy, difficulty with memory or concentration, muscle aches, bone or joint pain, lymphedema or swelling, weakness and balance problems. Through the McLeod Cancer Rehabilitation Program, our goal is to minimize these side effects. 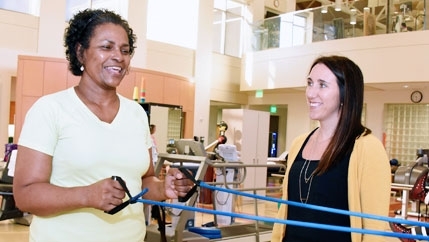 Our Cancer Rehabilitation Program is provided by a group of trained medical professionals who specialize in physical and occupational therapy, speech pathology and personal training. Each team member provides expertise, guidance, training and support throughout your rehabilitation treatment. Your cancer rehabilitation plan will depend on individualized goals that focus on increasing strength and energy, managing pain and improving your functioning and quality of life.